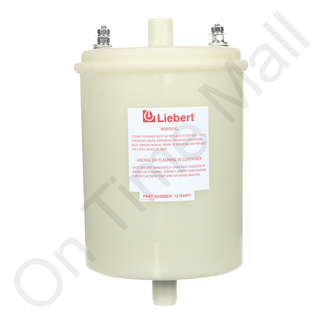 Liebert 127849P1 Steam Cylinder. Designed to operate on 220 to 277 volt 1 phase. Made for models rated at 5 pounds of steam per hour. OnTimeMall is not ONTIME but wayyyyy before time. Even before, I tracked the items first time, they were at my doorstep. Great service with fantastic pricing will always make me bank on their services in future.